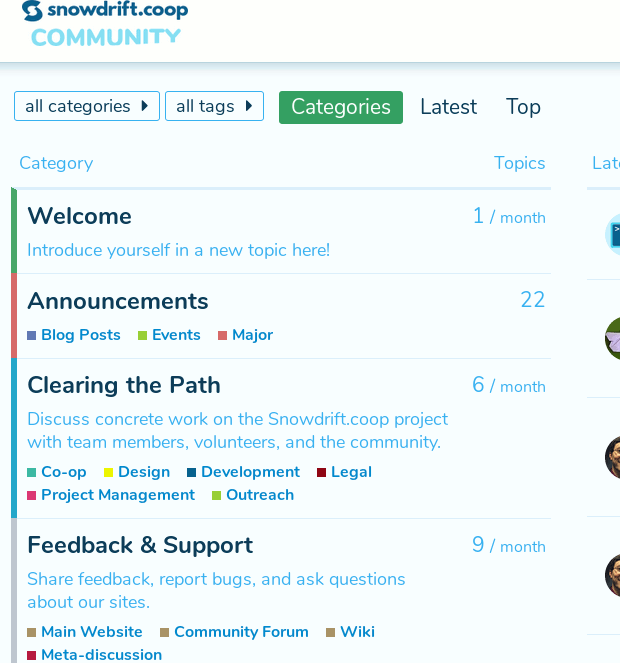 We have a new(ish) forum at community.snowdrift.coop using Discourse, the popular Free/Libre/Open forum software (tweaked to fit our ideals). Hi, my name is William Hale, but feel free to call me Salt. At the beginning of this year, I accepted the role of Community Director for Snowdrift.coop. I am a FLOSS advocate who has gone all-in to make Snowdrift.coop a reality.